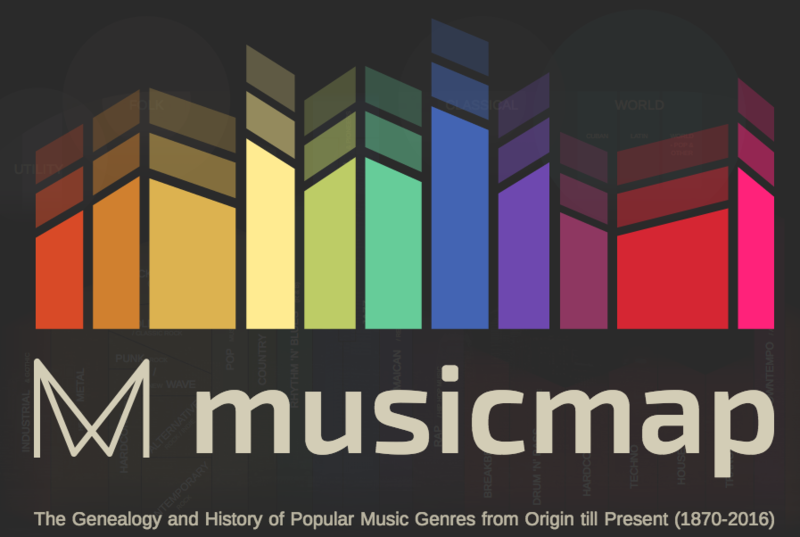 7 years in the making, Musicmap is a very ambitious project that attempts to provide the ultimate genealogy of popular music genres, including their relations and history. Having the right information about the history of genres and understanding it’s evolution as an artist can be lucrative to your music ideologies and progress. This is the most comprehensive guide and interactive guide we’ve stumbled upon. Special attention was given to inter-categorical relationships, with a different style for primary links (parent genres), secondary links (other influences) and anti-links (backlashes) to make the chart more accurate. Horizontal timelines provide clear information about which year each genre emerged, although for most genres this is disputable, which is why the timelines are faded in the background and surplus information is added in separate genre descriptions. These descriptions provide the subtleties that cannot be made visually clear in order to completely understand the sociological, semantic and technical context of their respective genres. Out of respect for the power of music and to increase readability, all genre names are capitalized. A list of sub-genres with relevant information about each pops up. There’s even a playlist to hear examples of the sub-genre or sound along with a glossary of musical terminology.